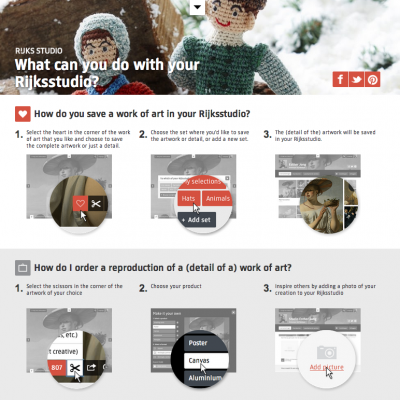 Rijks Studio provides an easy and elegant platform for digital visitors to see, assemble, save, and share the museum’s collection. 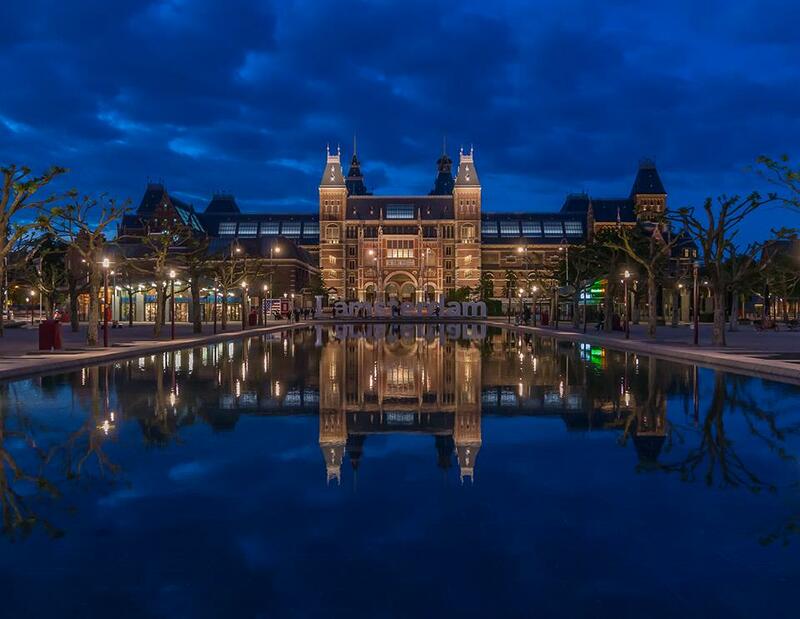 Concurrent with the completion of the Rijksmuseum’s renovation in 2013, the museum launched Rijksstudio, inviting audiences to delve into the collection online and make it their own. 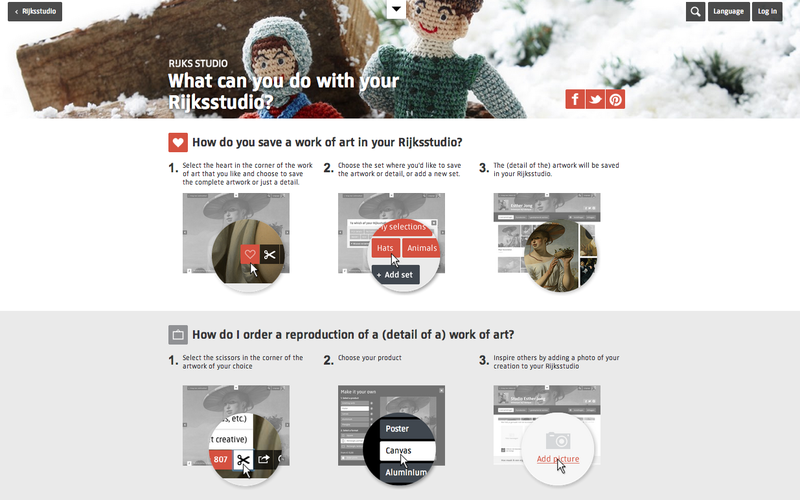 Rijksstudio allows users to create online sets of artworks from the collection via the website or in the galleries using a mobile phone app. Images can be downloaded for personalization, cropped into details, shared online, ordered as prints, or used to create products with imagery drawn from the collection. 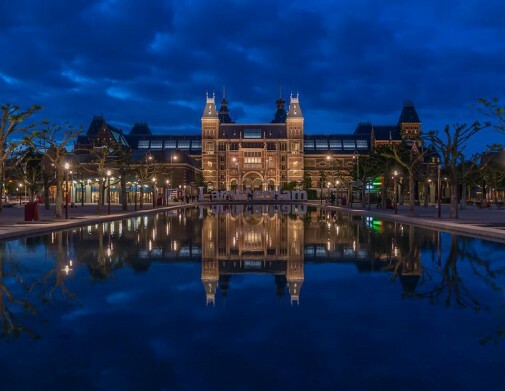 A basic search gives users access to nearly 578,000 images while with Master Matcher, users answer a few questions to find artworks that may appeal to them from 225,000 masterpieces in the collection. 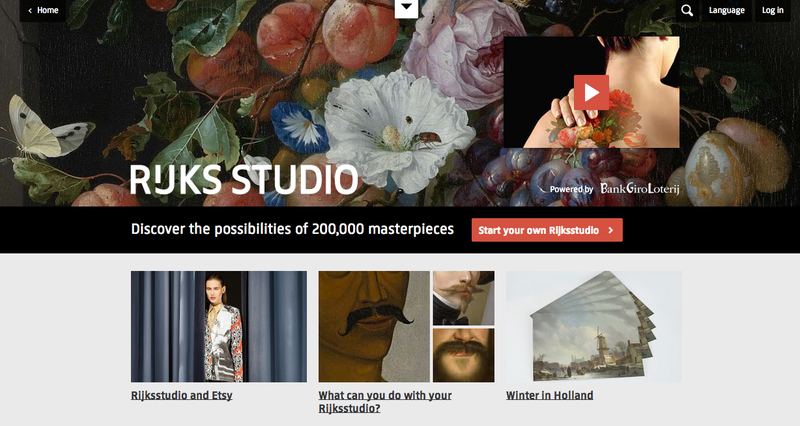 Nearly 200,000 people have created personal galleries using the RijksStudio functionality. 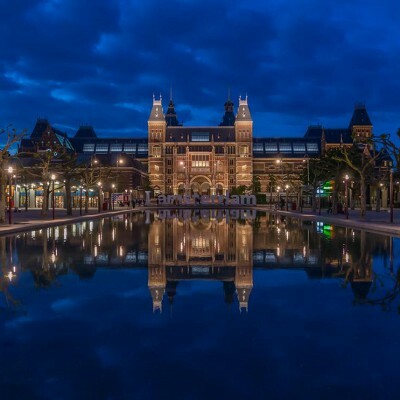 Launched in 2013, the “Make Your Own Masterpiece” competition encourages innovative use of Rijksstudio, offering prize money to winners selected by a panel of design experts, and a chance to be exhibited in the museum.